Links to used mods and timestamps when they are used are in video description and first pinned comment. Nice work, can't wait to try out. It's great quality bus, but has BUSE destination display. Support-Thread zum OMSI2-AddOn "MAN Stadtbusfamilie" / Support thread to OMSI2 addOn "MAN Citybus Series"
Gibt es irgendwo eine Changelog oder sowas? Im Info/Kommentarthread wurde ja nicht über ein Update infomiert. 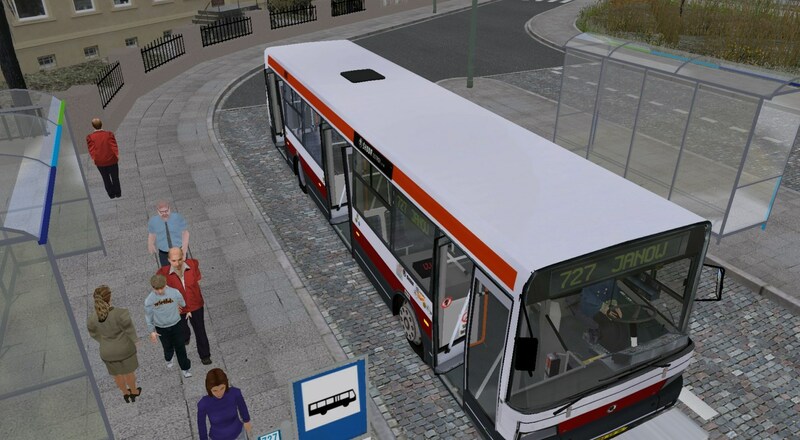 Welche Busse sind denn nun dazugekommen? Und haben sich noch andere Sache geändert? @Kerts98 Please try to check your files! It's not correct installed! And delete your modded files first befor you install again! I have found a bug in the round seccond mirror to look the interrior of the solo 3doors. The round mirror shows not the right information but only a standard image. The rest of the mirrors works perfect. Nice update! 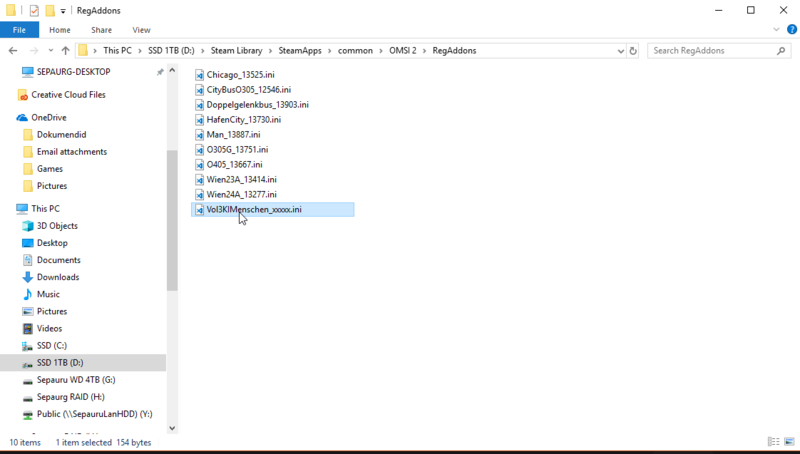 I don't have any mods installed that touch the folders of MAN_NL_NG_263 aka no mods that touch the DLC. 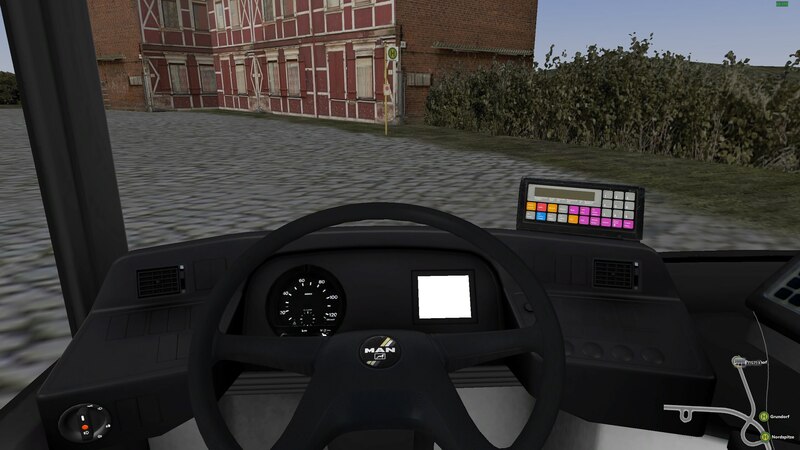 A21 3-door is completely broken, spawns with empty dashboard (all repaints) & engine doesn't start and power doesn't turn on. 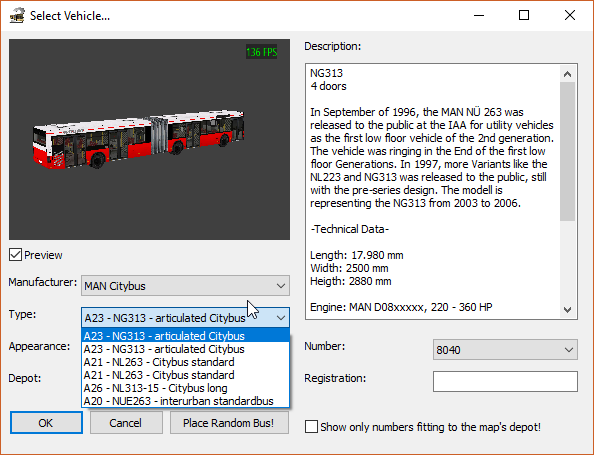 Addons\MAN Stadtbus Serie\ CTI & CTI_EN do not have the new values added. Du hast bestimmt das Addon "OMSI 2 - Downloadpack Vol. 3 + 5". Dieses wurde über Steam geupdated, da ist aber wohl ein Fehler drin. Am besten deinstallieren (Häkchen bei den Steam-Downloads entfernen und Omsi aktualisieren), dann geht Omsi ohne diesen Fehler wieder. Abwarten, bis wieder ein Update angekündigt wird und dann Häkchen wieder reinmachen, geht in der Regel kurzfristig. Thought the problem is, LH aka articulated version has less capacity than single version? Please increase that so it's actually higher than single version. In a lot of cases after closing the doors, you have to press the brake pedal even for a second for it to release. Automatic A/C keeps the temperature between 22-24C, isn't that a bit too high? Station brake does not trigger automatic door opening every time, sometimes you have to press the station brake button twice for it to apply. Shouldn't this bus have an automatic kneeling option/switch. There is the manual kneeling trigger, but not automatic one. No proper repaint template/base for non-hochban version of the bus. 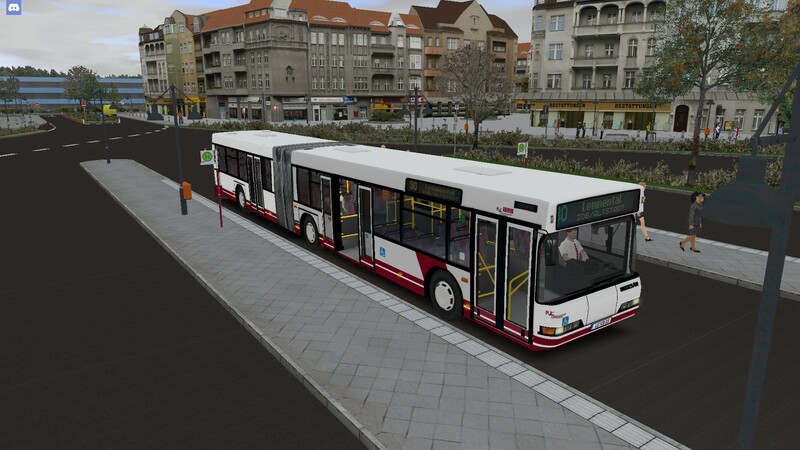 It took me quite a deal to get it this https://gobusvirtual.eu/2017/10/new-buses-volvo-7900-l-lh/ , that has not a single hochban/VVH logo outside and the front top side Hybrid text is way too small, real life models have it the same size as the back one, current decal repaint template does not support adding it any bigger. Otherwise great bus and DLC! Would it be too much to ask for K++ destination display? Trying out the MB Sprinter 312D & 412D pack. Today's stream which replaced my yesterday's failed recording. Make sure the video starts around 19:04, at first I tried to get Eberlinesse working, but failed. Were did you get the Facelift version?